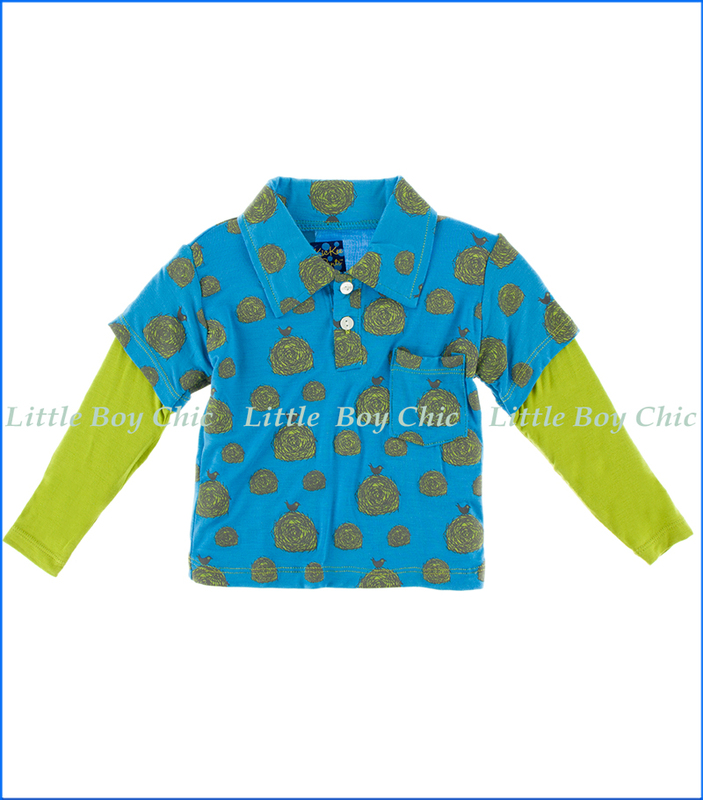 This solid polo by Kickee Pants has coordinating layered sleeves in a seasonal hue with a pond bird print. Two-button placket. Made of eco-friendly bamboo fabric that feels cooler in hot weather and warmer in cold. Soft hand feel that is specific to bamboo fabric. Super absorbency. Printed neck label with no tag to irritate.